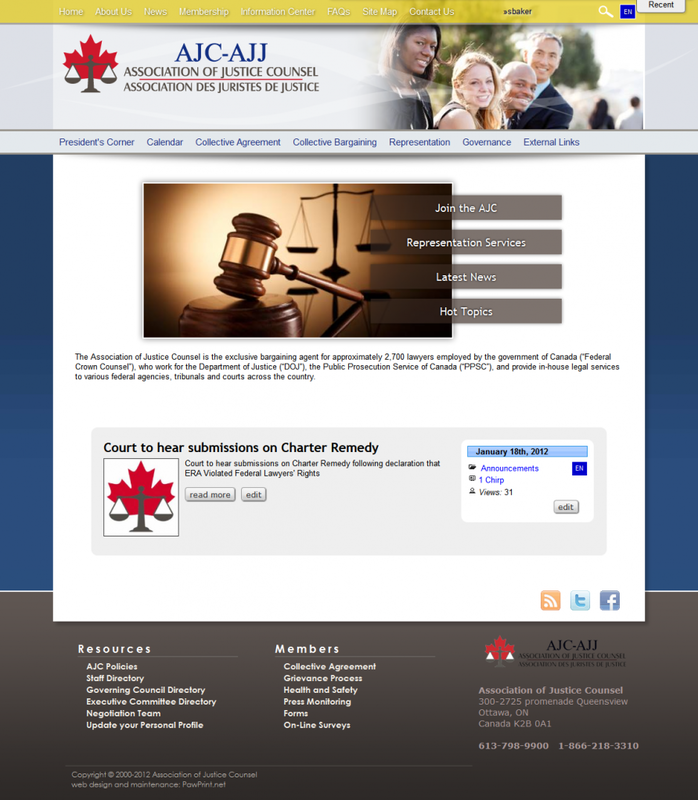 PawPrint is pleased to announce the launch of a new XDe CMS powered web site for the Association of Justice Council in Canada http://ajc-ajj.net/ features a fully bi-lingual member-focused site that includes loads of enhancements added by request to the core XDe. The Association required a great deal of additional information added to the contact database to meet the needs of their diverse membership and all this with the ability to easily import users from their existing member database. As with all web sites it´s never done but in this case there are more features in the works including a newly developed e-Voting and survey system that will soon be available to all XDe powers web sites as an add-on module.